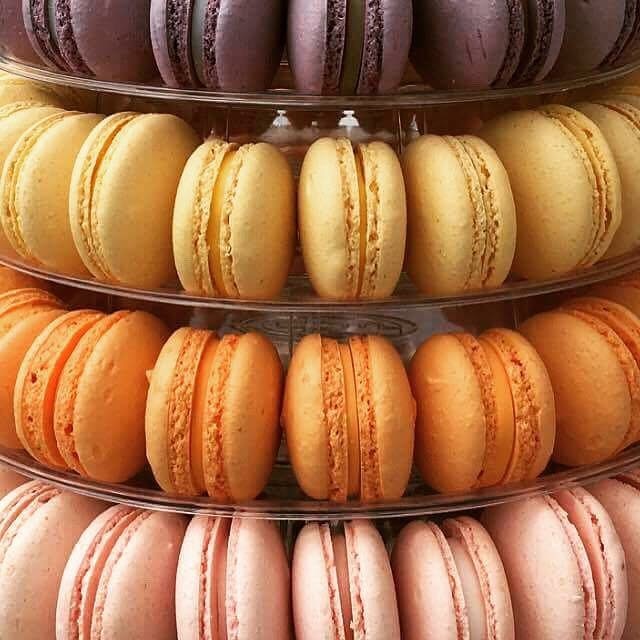 Dulce’s Patisserie will offer handmade French pastries, cakes, award-winning macarons & quiches with high quality coffees & loose leaf tea. Sevenoaks is to have a new independent, family owned patisserie. Opening late early May, Dulce’s Patisserie is located at Brewery Lane in the popular Bligh’s Meadow shopping area. It will serve handmade French pastries, baked goods, cakes, quiches and sandwiches along with high quality coffees and loose leaf tea. Dulce, with the support of her husband Alain, started their patisserie business from their home in 2013 and have been a firm favourite at farmers’ markets, foodie events and exhibitions in and around Kent, London and the South East ever since. Now the couple are to fulfil their ambition of opening their first shop. From birth, Dulce was destined to be a patisserie chef when her parents gave her a name meaning “sweet”. At an early age she displayed her natural talent for food and flavour, helping her mum in the kitchen and soon enough, was serving great flavourful food and bakes for friends and family. Dulce actually studied medicine and qualified as a GP. After a long shift, she would be found in the kitchen baking and cooking as a way to de-stress. On a career break from medicine, Dulce decided to build on her natural ability as a baker and trained at Le Cordon Bleu where she gained a Diploma in Patisserie. Armed with the knowledge and training from the master chefs, she began to develop her own recipes at home in Kent and started to sell at local farmers’ markets. By 2017, Dulce’s Patisserie had built up a strong following, frequenting a dozen markets and gaining several national awards for her delicious quiches and baked goods. Now Dulce and Alain are proud to be giving their business a permanent home in the heart of Sevenoaks.